Pearl Django performs elegant and exuberant Jazz in the style of Django Reinhardt and the Hot Club of France. 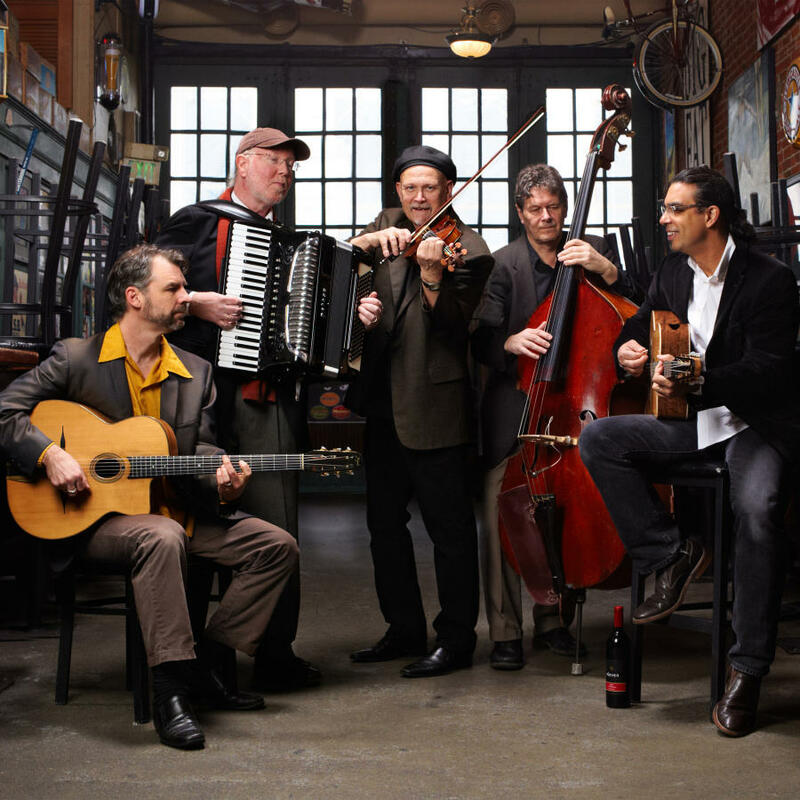 Spend an elegant evening with Pearl Django, performing energetic and exciting Gypsy Jazz in the style of Django Reinhart and the Hot Club of France this November 20. The group adds traditional jazz classics and the feel of American swing for an unforgettable musical delight. “Irresistible to jazz and non-jazz listeners alike,” says the Seattle Weekly. The concert takes place Thursday, Nov. 20, 2014 starting at 7 p.m. at the Bing Crosby Theater, 901 W. Sprague Ave. Tickets are $20 for main floor and lower balcony seating, $18 for upper balcony, plus a $2 Bing Restoration Fee. Proceeds benefit Spokane Public Radio. Tickets are on sale beginning October 16 at all TicketsWest Outlets, at (800) 325 SEAT, or online at TicketsWest.com. Hear the "All Things Considered" interview that brought Pearl Django to national attention. 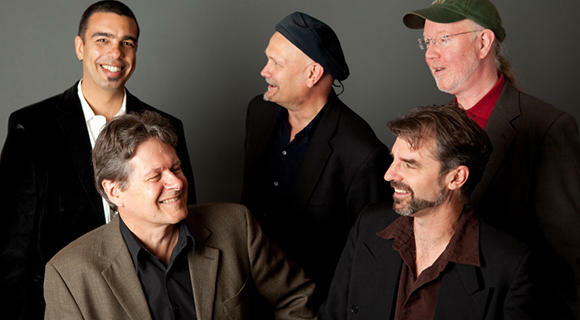 The group, based in the Seattle area, last played for Spokane Public Radio in 2007, playing concerts in both Sandpoint and Spokane. Each time, they created an extraordinary musical experience. With a performance history spanning almost two decades, Pearl Django endures as one of the most highly regarded Hot Club style groups working today. Although the band’s roots are firmly in the music made famous by Django Reinhardt and Stephan Grappelli, its extensive repertoire includes traditional jazz classics and original compositions. 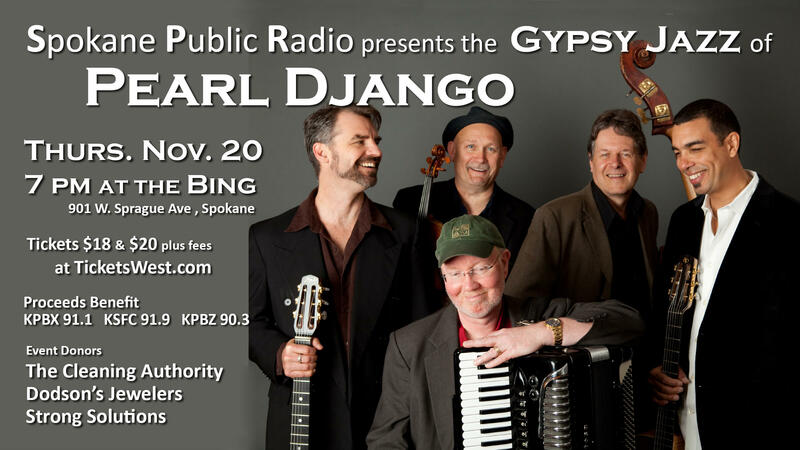 Pearl Django has performed at festivals, dances and nightspots throughout the U.S. and abroad. They have played at the prestigious Festival Django Reinhardt in Samois sur Seine. The band’s signature style is marked by pristine and dexterous string work, colors of Bal Musette, the steady pulse of rhythm guitar and an unmistakable swing that delights audiences of all musical sensibilities. Thanks to event donors The Cleaning Authority, Dodson's Jewelers, and Strong Solutions.